Wellington (AAP): New Zealand has joined Australia in signing up to a deal with Britain aimed at softening the impact of Brexit on trade. 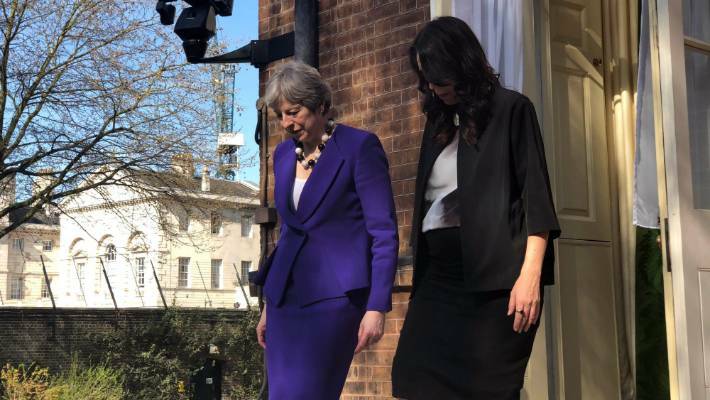 As British Prime Minister Theresa May took time out from the Brexit turmoil on Monday local time to meet with her Kiwi counterpart Jacinda Ardern at 10 Downing Street, officials from their two countries signed a "mutual recognition agreement". Australia and the United Kingdom signed a similar deal over the weekend, intended to serve as a stopgap to give exporters the assurance regulatory requirements won’t change post-Brexit while free trade deals are hammered out. Britain had only signed one of the 36 similar deals it was working on by last week but International Trade Secretary Liam Fox said he was confident about getting the most significant agreements over the line before the UK separates from the EU in late March. Mrs May’s meeting with Ms Ardern in London ahead of the World Economic Forum in Davos came as the British PM sought to break a parliamentary deadlock over the terms of Brexit after her original plan was overwhelmingly voted down last week. Australia is expected to begin bilateral free trade negotiations with Britain after Brexit occurs. On Monday, Australia’s Trade Minister Simon Birmingham, also in London, downplayed expectations that the UK would join the 11-member Trans-Pacific Partnership - itself under negotiation.